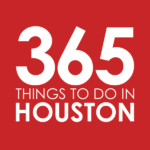 Editors note: We at 365 Houston mistakenly thought River Grove Park a public venue, but it is actually only open to Kingwood residents. We regret the error and appreciate our readers who brought it to our attention. In our Park Spotlight series, we take a closer look at Houston’s vast array of public recreational areas to shine a light on hidden and not so hidden gems. This week we’ll be spotlighting River Grove Park. Join us as we take a trip through Houston, park by park. Located northeast of Downtown in Kingwood at the south end of Woodland Hills Drive, the scenic River Grove Park provides visitors with wide views of the San Jacinto River, a boardwalk that extends over the river, and plenty of fishing opportunities. The 74-acre destination features sports fields from the Kingwood Alliance Soccer Club, Kingwood Youth Lacrosse, an 18-hole disc golf course, boat ramp with access to Lake Houston, fishing, covered picnic areas with grills, playground area, a pavilion facility and more. Whether you’re looking for a full day of exploring or just a casual outdoors experience, this is a great park to get away from the big city without having to go too far. Parking: Visitors should note that only Kingwood residents with a bumper sticker denoting such are allowed to park at the park itself. Anyone without a sticker is likely to get towed. If driving, guests should park outside of the park or opt to take a ride-sharing service. It’s very important to know that only Kingwood residents with a bumper sticker are allowed to park at the park itself. Anyone without a sticker is likely to get towed. Out of town visitors should park at one of the nearby churches to be safe. Thanks for the clarification, Tom. We’ve updated the article, but would also advise caution about parking in the church lots.